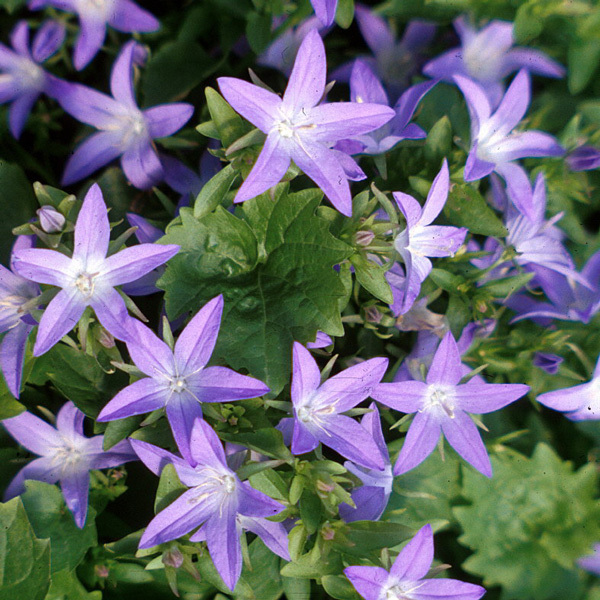 Bellflowers are among the most popular of perennials. 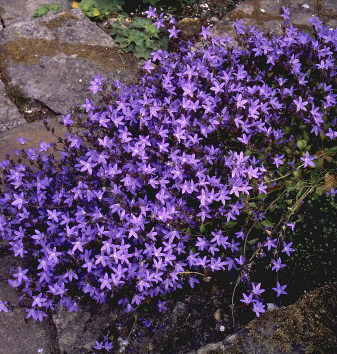 This showy, dwarf species is often grown in rock gardens, used as an edging or for tubs and pots. Plants form a spreading patch of small green leaves, bearing loads of starry lavender-blue flowers in late spring.